Parents sometimes worry about throwing parties for their children with winter birthdays. Depending on where they live, they may not be able to just send the kids outside to run around on the lawn. Other times, it's hard to imagine a better way to celebrate a child's birthday than inside a house full of love and warmth on an otherwise chilly winter day. Celebrate their birthdays and the season with these ideas for a winter party theme. When creating the invitations, think of familiar winter images, such as snowflakes, ice skates, penguins, snowmen, snowballs, and snow-covered trees. The invitations could take the shape of one of those images or you could print the party information on a simple rectangular piece of light-blue cardstock and use a rubber stamp of one of those images (in white or silver ink) to decorate the card. Postcard photos of winter scenes (perhaps with your birthday child posing against a winter backdrop) are another option for simple, winter party invitations. These tips for decorations and ambiance enhancers can help you transform your party space into a winter wonderland. Decorate the inside of your house with an abundant supply of twinkling white lights. To set a soft mood, use them as the main source of light for the party. You could hang regular white lights or ones that are shaped like snowflakes or icicles to fit the winter theme. Hang paper snowflakes from the ceiling. Cut out a variety of snowflake designs and hang them from a string, white ribbon, or clear fishing wire. The key to making this look magical is quantity; the more snowflakes the better. Birthday banners are a popular way to say “happy birthday” in a visual way. But instead of making one with triangle shapes, how about stringing together icicle shapes instead? Cut the icicle shapes from white felt, cut the words “happy birthday” from a light-blue felt and either glue or sew the letters in place. Attach each icicle to string or encase it inside a long piece of white bias tape and hang your birthday banner in a highly-visible place. Don’t want to mess with fabric? You can make your birthday banner from paper, too. Use a word-processing program to print out the letters in light-blue ink onto white cardstock, then cut each cardstock piece into the icicle shape. Hang tissue paper pompoms made from white tissue paper and shades of light blue. Play winter-themed music during the party, such as “Let it Snow” or “Winter Wonderland". If you want to avoid Christmas songs, just look for songs or a playlist that have the words cold, ice, freeze, snow, or winter in the title or lyrics. Ask all your guests to wear white or light blue clothes for the party. Plan some winter-themed games like pin the carrot on the snowman. If there's snow on the ground, organize a snowman-making contest or play sledding games. Just be sure to let your guests know if they should come prepared for outdoor play in the cold. 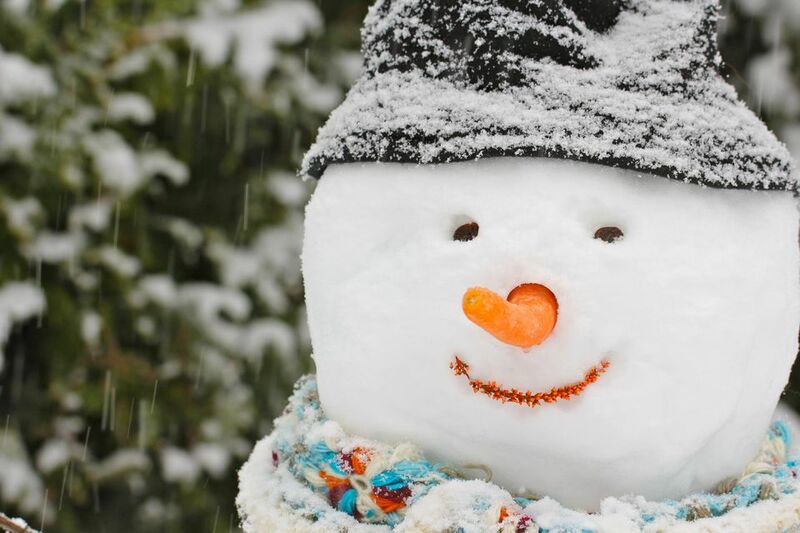 If you'd rather stay inside, you could play some snowman party games or have fun with indoor winter party activities. Set out a candy table with apothecary jars packed full of white and light blue-colored sweets, such as M&Ms, gumballs, yogurt-covered pretzels, Mentos, marshmallows, Jordan almonds, salt water taffy, and blue-and-white swirled old-fashioned lollipops. Just make sure those candies, many of which are choking hazards, are out of reach of young guests. For dessert (besides or instead of the candy table), serve cupcakes that have been baked in snowflake-printed baking cups or encased in snowflake cupcake wrappers (trace the cupcake wrapper template onto snowflake-themed paper). 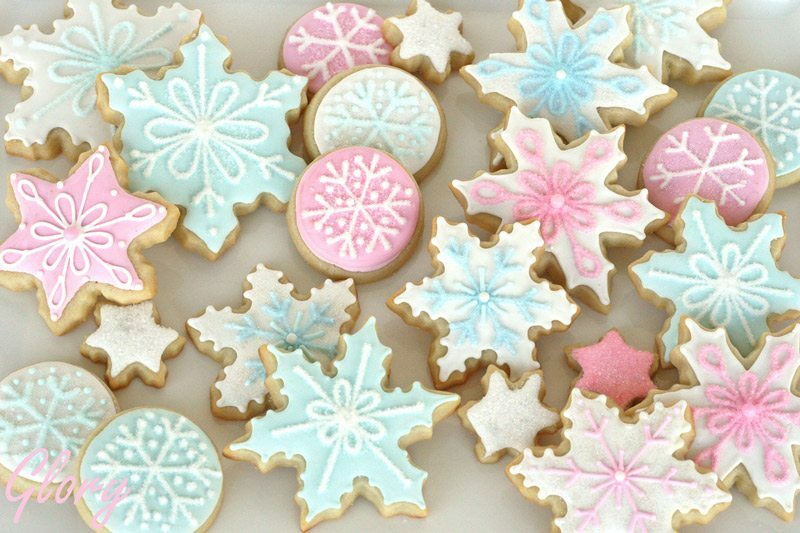 Make beautiful snowflake cookies. If you want an activity, bake the cookies ahead of time but have the group help decorate the cookies. Arrange three round cakes to form a snowman cake. Use colored icing and candy accessories to decorate him. Set up a fun and delicious hot cocoa party bar with lots of tasty toppings. Make your own snowman kit. Put together a package containing a small tub of white play dough and cardstock cutouts of the accessories (hat, carrot nose, buttons, etc.). Snowman candy bars (wrap candy bars in white paper and decorate as snowmen. Bags of winter trail mix (white frosted cereal mixed with white chocolate chips, white yogurt pretzels, and dried banana chips).